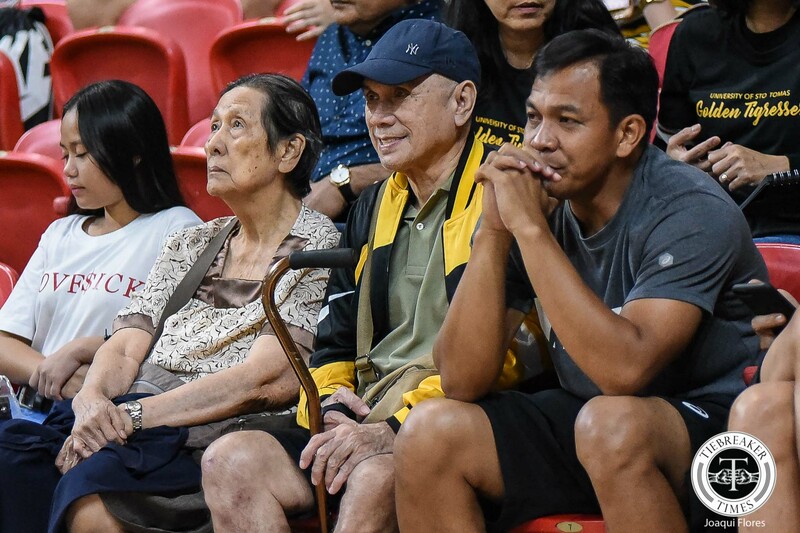 In a match that pitted generations of UST Golden Tigresses against each other last Wednesday, it was only fitting that the program’s architect was there to witness what his legacy has led up to. Now 70 years old, and having powered through a few ailments, coach August Sta. 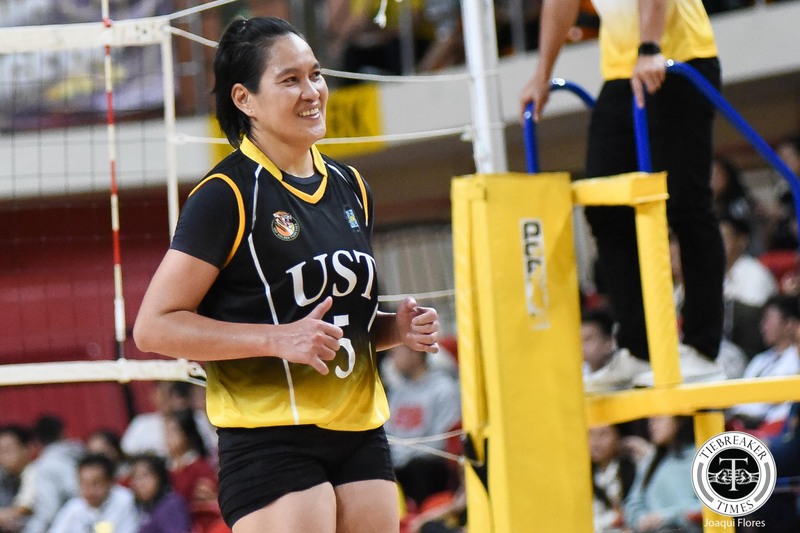 Maria was still a figure of strength when the current Tigresses played past UST greats. He could not help but smile as he saw his former players. “Ibang pakiramdam sa amin na tumatanda na kami, nandiyan pa rin siya para sa amin kahit nagkasakit siya. 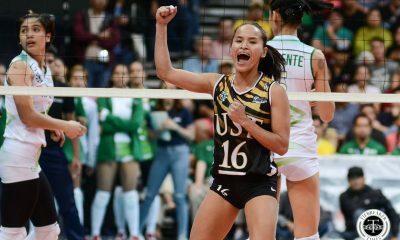 Sobrang blessed namin na nakakapagsalita na siya at may improvement na sa paggalaw niya,” said Ging Balse-Pabayo, who won the UAAP Season 69 Women’s Volleyball title with Sta. Maria at the helm. Sta. Maria has won numerous UAAP titles, coached several National Team iterations, and developed most of the pioneers of local women’s volleyball. 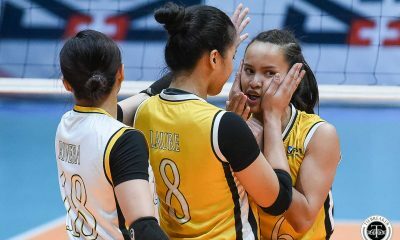 Current National Team head coach and consultant for UST’s Junior Golden Tigresses squad Shaq Delos Santos fondly remembers how Sta. Maria gave him one of his first big coaching breaks during the Season 73 Finals. “May sakit na kasi siya noon, and siguro ilang oras na lang noon before mag-start ‘yung game. “Tinawagan ko siya, hinahanap ko siya kasi wala pa nga siya. Ang sabi niya lang sa akin kaya ko na daw ‘yun. Manunuod na lang siya sa TV,” Delos Santos fondly remembers. Even now that he’s well beyond his coaching days, Sta. Maria’s presence gives any event he attends a certain air. In 2015, he was in the PhilSports Arena when the Philippines took a set from China in the Under-23 tournament. Before that, Sta. 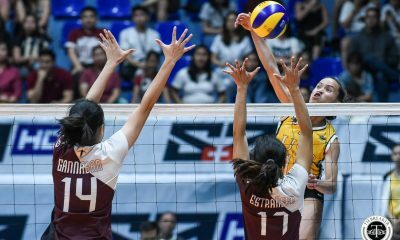 Maria famously attended the Tigresses’ first match of UAAP Season 75, in which UST pulled off a shocking five-set win over the De La Salle University Lady Spikers. 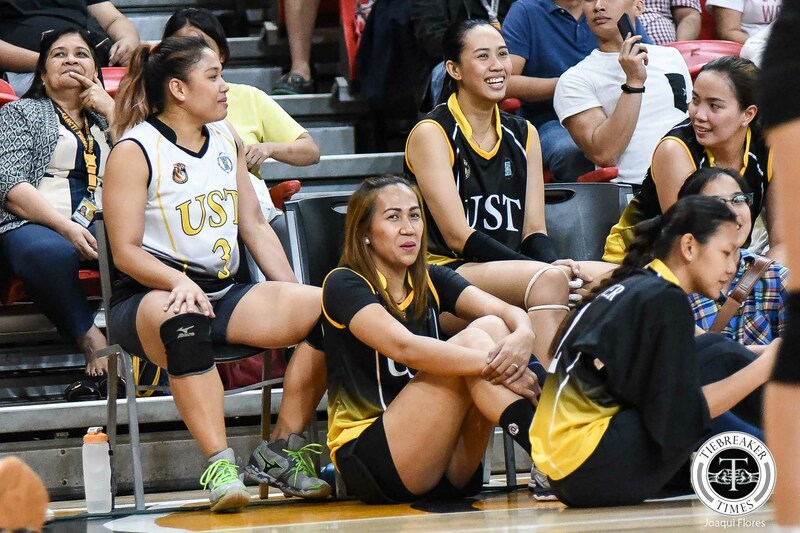 Heading into Season 81, the Tigresses have a great shot at ending a nine-year title drought. Current team captain Sisi Rondina knows that they have a legacy to uphold. Getting a blessing from Sta. Maria only gives them more motivation.